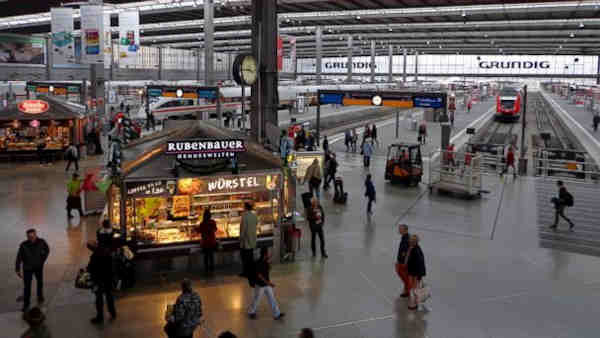 MUNICH -- Police in Munich warned of a "serious, imminent threat" by Islamic State group suicide bombers wanting to commit an attack on New Year's Eve and asked people to stay away from the city's main train station and a second train station in the city's Pasing neighborhood. Bavaria's Interior Minister Joachim Herrmann told reporters Friday night at Munich's police headquarters authorities had received information that the militant group Islamic State was behind the threat. Munich police president Hubertus Andrae said German authorities had been tipped off by a foreign intelligence service that IS was planning attacks with five to seven suicide bombers, the German news agency dpa reported. Andrae said so far there hadn't been any arrests. Police spokesman Werner Kraus told The Associated Press that "after evaluating the situation, we started evacuating the train stations and also asked partygoers to stay away from big crowds outside." The warning came only hours before the city rang in the new year. Despite police warnings to stay away from big crowds, thousands of people were on the streets of Munich at midnight to welcome the new year with fireworks. Dpa reported massive delays in the city's public transportation system after both train stations were quickly evacuated and trains were no longer stopped there. Cities across Europe have been on edge since a terror attack in Paris in November killed 130 people. A few days after the Paris attack, a soccer stadium in Hannover in central Germany was evacuated after a terror threat against a friendly match between Germany and the Netherlands. The authorities never reported any findings of explosives or concrete attack plans.